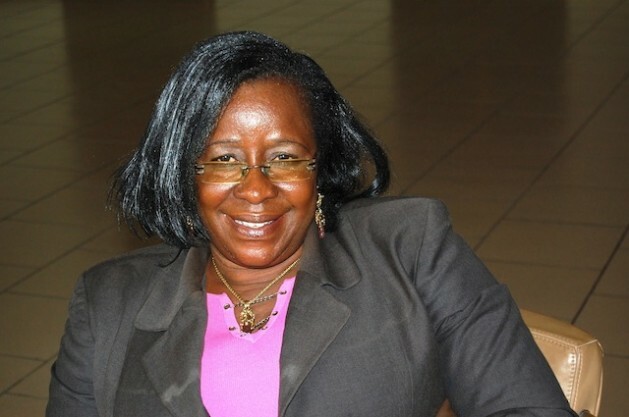 ACCRA, Jul 12 2012 (IPS) - Beatrice Boateng, a member of parliament with the New Patriotic Party, Ghana’s official opposition to the ruling New Democratic Congress, has earned her place among the country’s lawmakers. As she takes her seat in parliament, she does so having overcoming the numerous obstacles that face all would-be female politicians in Ghana, including defamation and financial difficulties. It is little wonder then that when visitors observe Ghana’s legislators in action, one thing is immediately clear – there are very few women who sit in the West African country’s parliament. In fact, the Inter-Parliamentary Union ranks Ghana as 120 out of 189 countries for female representation in government. Only 19 of 230 members of parliament in Ghana are women. That leaves female representation at 8.3 percent. Boateng went to court over the allegations and eventually won the case that year. She was granted a retraction in the newspapers, an apology and some financial compensation. But not before the case was adjourned 11 times. She did not win a seat that year. She would have to wait four more years before she finally won the chance to represent the New Juaben constituency of the Eastern Region in parliament. In 2008 she won a seat as an MP and has been serving for the last four years. She did not win the party nomination in her constituency for the 2012 election, though, and will not run for a second term. But Boateng’s triumph in politics is a rarity here. And a Ghanaian NGO called Abantu for Development has teamed up with the country’s Department of Women to draft a political affirmative action law to open the doors for women who want to follow in Boateng’s footsteps. “If we do not put in place special temporary measures, women will never make it into public office,” said Hilary Gbedemah, a lawyer and the rector of the Law Institute in Accra who has worked on the draft legislation. Eight years ago, the NGO Leadership and Advocacy for Women in Africa or LAWA Ghana made recommendations for draft legislation on affirmative action. Though work towards the legislation only started four years ago, with the Department of Women creating the Affirmative Action Legislation Working Committee, a four-person committee responsible for creating the draft legislation, in May 2011. While the sub-committee is yet to start drafting and sifting through the varied recommendations received, they are working toward a gender parity zone where no gender occupies more than 60 percent of public or political positions. In 1995, the United Nations’ Beijing Platform for Action on Equality, Development and Peace, to which Ghana is a signatory, recommended a minimum of 30 percent female representation in decision-making positions. So far, 37 countries across the globe have reached the Beijing Platform’s 30 percent marker for female representation in parliament. Of those countries, only three achieved the feat without affirmative action initiatives. “We are hoping that when we get the affirmative action law to back the policies that we have, we will have the basis to hold political parties responsible to give support to women,” said Patience Opoku, principal programme officer and acting director with Ghana’s Department of Women. Rwanda, South Africa, Tanzania and Uganda are among the African countries with affirmative action laws. They each have more than 30 percent female representation in parliament. Rwanda leads the world with 56.3 percent representation. But in Ghana, several factors still prevent women from reaching decision-making positions. When Boateng ran for parliament for the first time in 1996, she said her biggest obstacle was her finances. “I knew I needed money and I didn’t have it,” she said. Though in 2004, during her second attempt to run for office, she was in a better financial position and was able to secure loans from banks. But by this time her children had also completed their schooling, and she had more cash available. Women are expected to raise children and have fewer opportunities for tertiary education and professional advancement. “Men have the money,” said Gbedemah. At the elementary level, boys and girls are evenly represented in Ghana’s schools. “But by the time we come to the tertiary level boys outnumber girls almost three to one,” Gbedemah said. She said that a study by ActionAid International found that the public perception of girls’ education, household chores and early pregnancy are all factors that have contributed to the disparity. To increase the number of young women in Ghana’s tertiary institutions, a form of affirmative action is currently in place as the entrance requirements for women remain lower than those for men. It points to a long history of affirmative action in Ghana. Kwame Nkrumah, Ghana’s first president, set aside 10 seats for women in Ghana’s parliament in the early 1960s. Though that policy fell out of favour after he was overthrown by a coup in 1966. “In India, and in the Nordic countries, we found that when you increase women’s representation they tend to focus on things like health, sanitation, education and social services,” said Gbedemah. Issues that are specific to women, such as maternal mortality and domestic violence, also receive more attention when a country has a higher proportion of female decision makers. The Department of Women and Abantu want to have nationwide consultations on the draft affirmative action bill by the end of the year, before it goes to parliament. While it will not be ready for Ghana’s December election, they hope to have affirmative action in place for the 2016 elections.